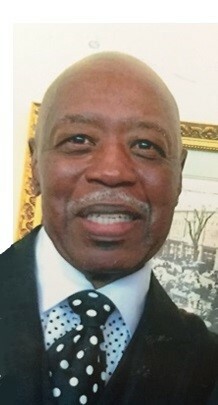 Obituary for Calvin P. Lark | House of Wheat Funeral Home, Inc.
LARK, Mr. Calvin P., born November 4, 1945, passed away peacefully October 18, 2018 at home. He was a graduate of Nettie Lee Roth High School, Class of 1965, and was employed by General Motors/Delco Division, where he retired in 1998 after 26 years of dedicated service. He is preceded in death by his parents, Rev. Vercie and Edna Mae Lark, six brothers and two sisters. He leaves to cherish his memory, his wife of 37 years, Faye Lark; daughters, Felicia (Rick) Harris, Regina (Darryl) Manson, Kimberly (Billy) Harris, Rhonda (Rick) Long, Angela (Michael) Stephens, Shawn (Peter) Pullen, and Sharon (Bryan) Bostick; sons, Kevin Bailey and Brandon (Ashley) Kaufman; eleven grandchildren and one great grandchild; brothers, Marvin and Felix (Marcia) Lark; special sister/niece, Mae Edna Brown; sisters-in-law, Lottie Lark, Walta Lark, Dolores Lark, Effie (James) Mitchell, and Sheron Hughes; brother-in-law, Leon (Ester) Hughes; and a host of cousins, nieces, nephews, and friends. Home going service will be held 11 a.m. Friday, October 26, 2018 at Mt. Carmel Missionary Baptist Church, 5370 Dayton- Liberty Rd. Rev. Johnny Vance, officiating; Dr. Chad A. White, Sr., eulogist. Visitation 9-11 a.m. Family will receive friends 10-11 a.m. Interment West Memory Gardens. Arrangements entrusted to House of Wheat Funeral Home, Inc.